With the massive pixel count of 36.3 megapixels, the Nikon D800 and Nikon D800E can generate images with excellent resolution but also pose challenges for shooting techniques. It becomes more important to reduce camera shake and motion blur, focus properly, and select optimal camera and lens settings. Nikon is certainly aware of all these and has just published a technical guide to get you prepared for the official shipping date. 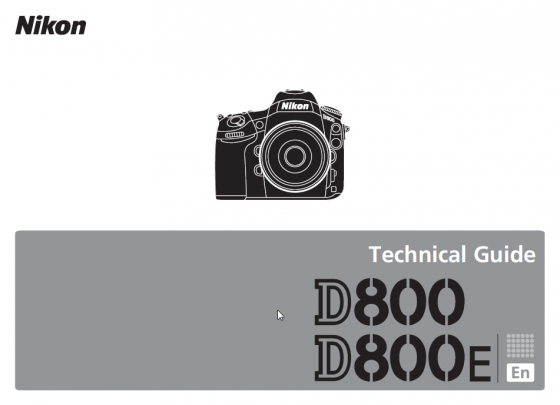 The technical guide can be a useful material for people who are not getting the Nikon D800 or Nikon D800E. For example, it summarizes the three important reasons to use Live View for static subjects. Mirror is raised before shooting, reducing blur. The technical guide has a special D800E section with information and tips to obtain the best resolution and how to deal with Moire.